A unique collection, emanating symmetry, geometry and purity. 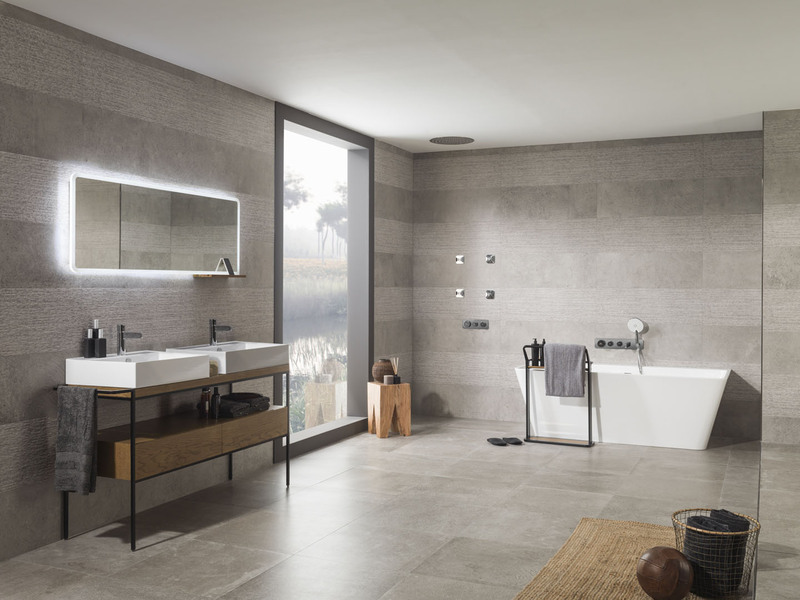 Available in two versions (Pure Line and Pure Line Wood), this series is versatile, able to satisfy any space and bathroom design. 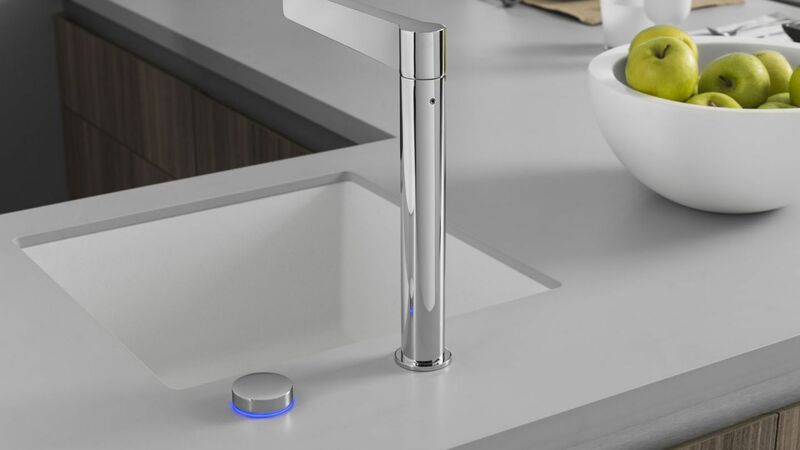 With a wide range of fittings, Pure Line also includes technology and innovation, through its taps. 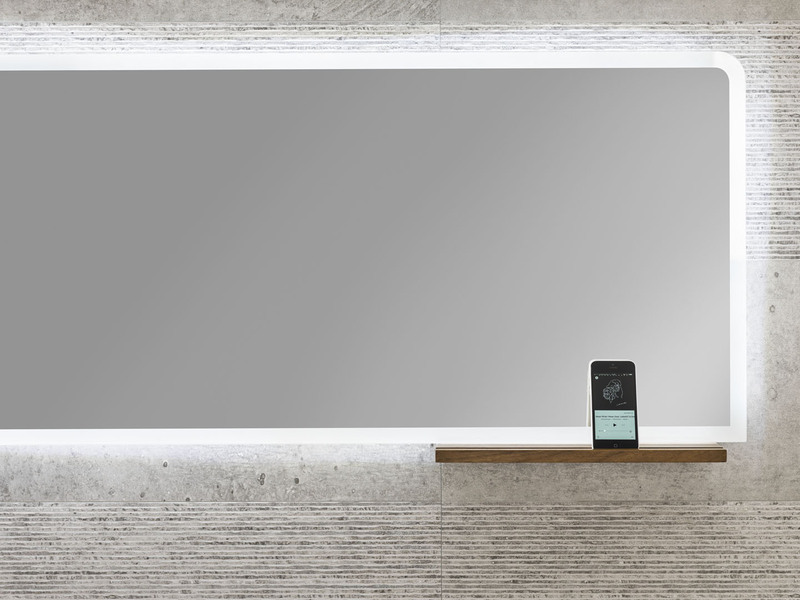 Pure Line: seeking the simplicity of complexity. The perfect balance between standing out and blending in. Cutting-edge technology. Innovation at the service of the user. 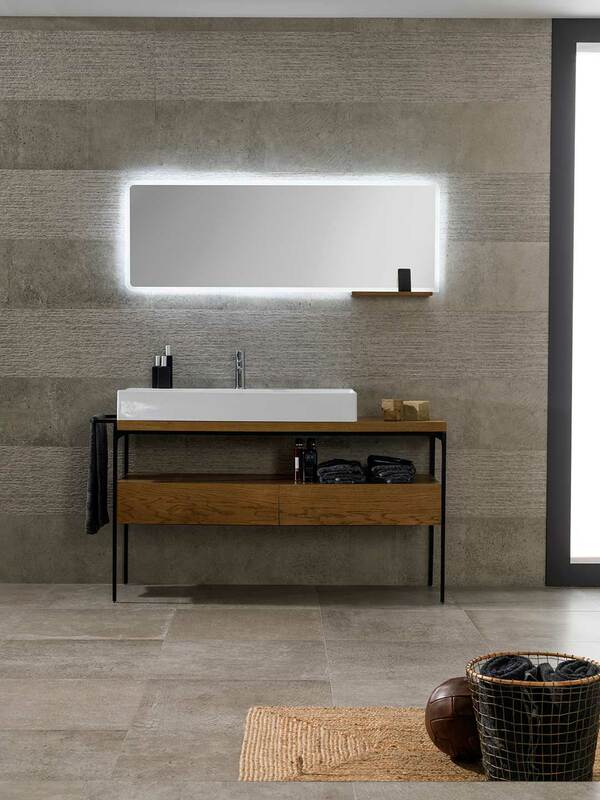 The Pure Line mirror has been designed to complement the Pure Line Wood unit. 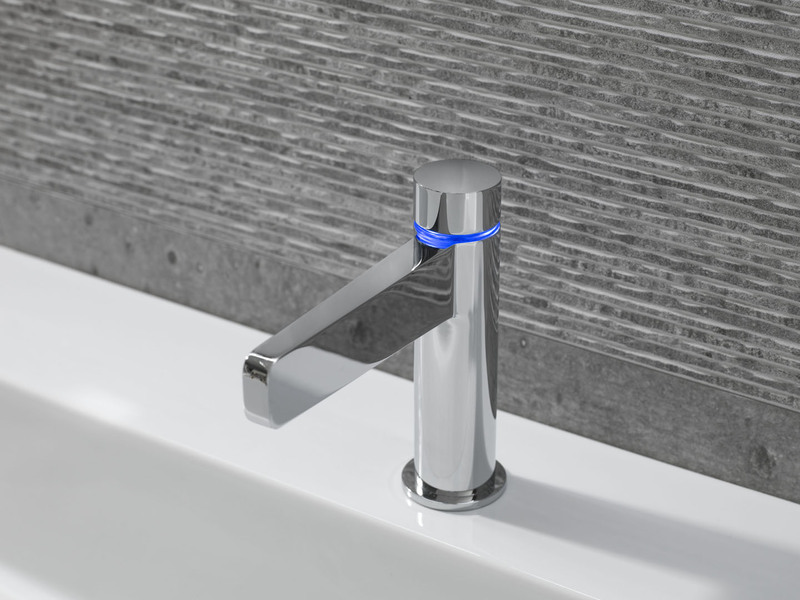 However, it is a revolution for the bathroom, thanks to its demisting technology, Bluetooth connection, optional shelf for holding mobiles and LED lighting. 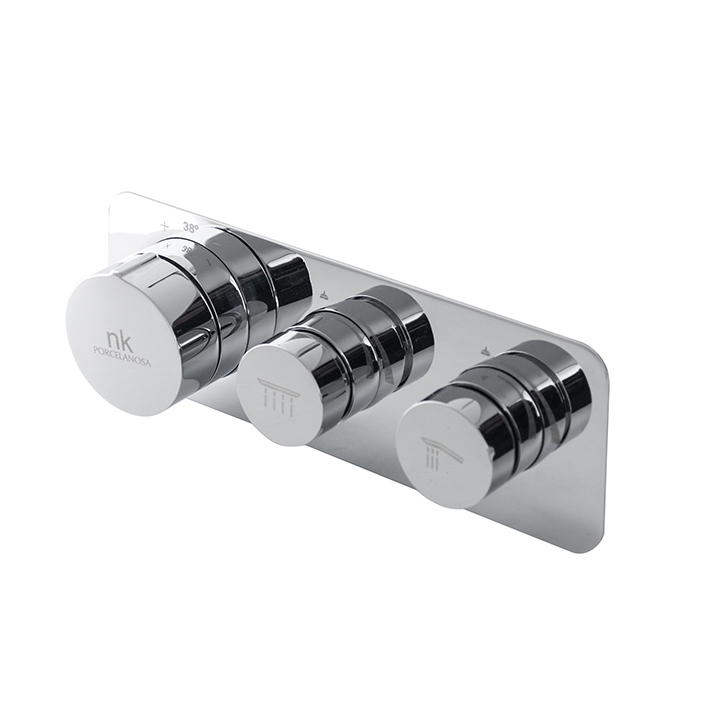 For washbasin, shower and bathtub. 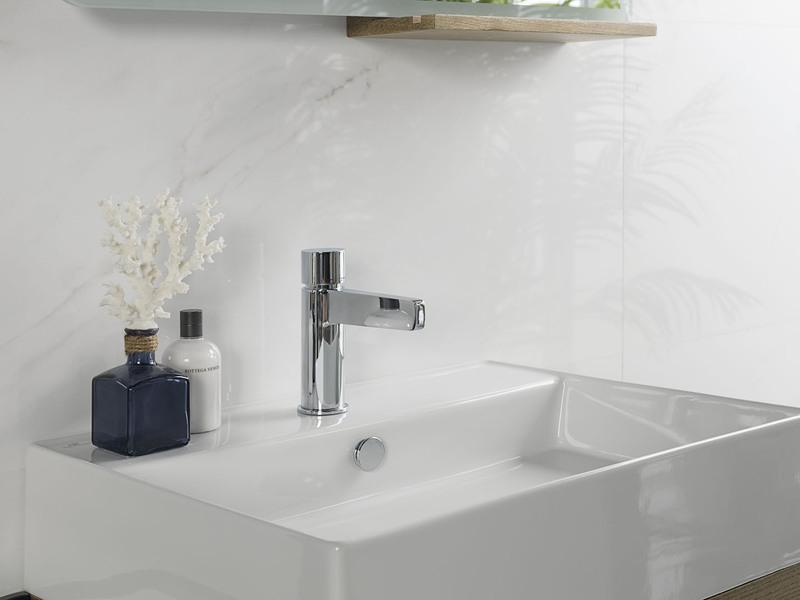 Available in different heights, Pure Line washbasin taps are defined as simple, elegant and easy to use. 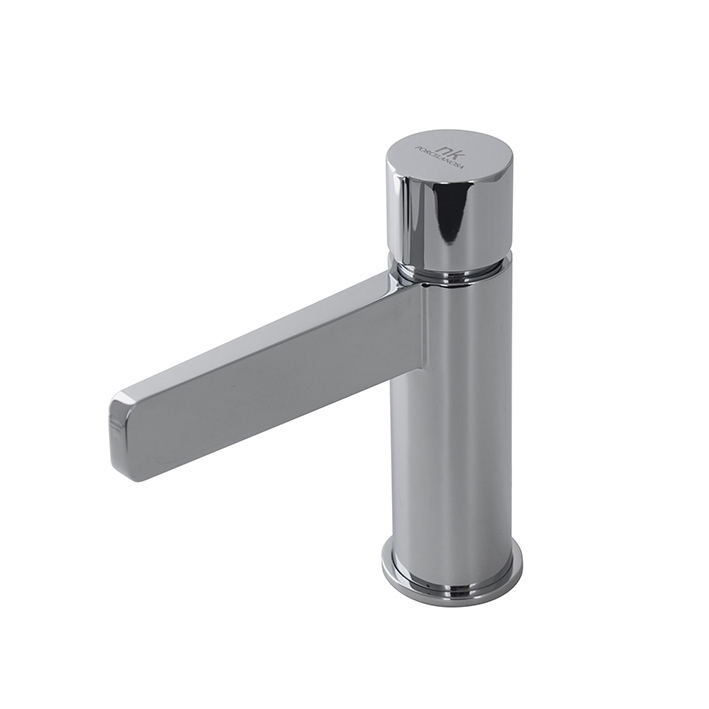 They have a cylindrical body with an accentuated spout, achieving a design which is both solid and versatile. 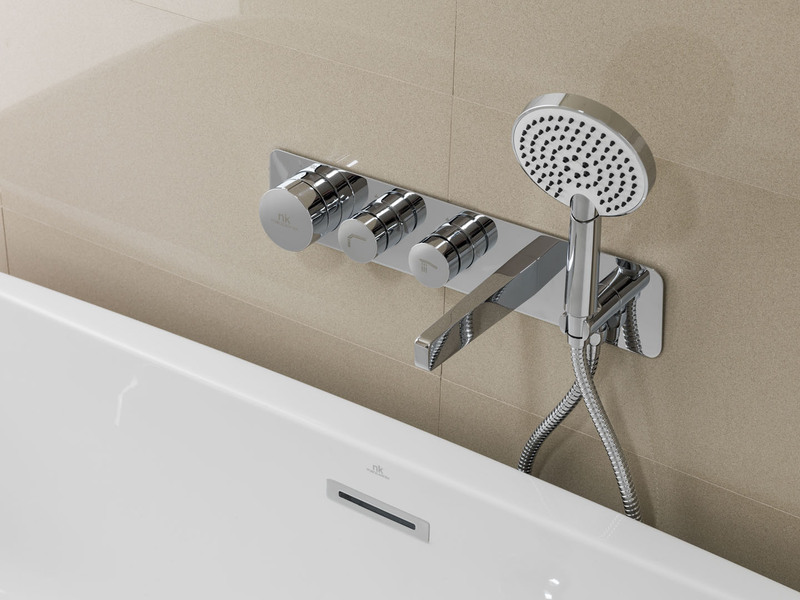 In the case of the embedded mechanical and digital shower taps, they can personalise the experience, selecting the flow, temperature and output of water with a simple touch thanks to the T-Start technology. 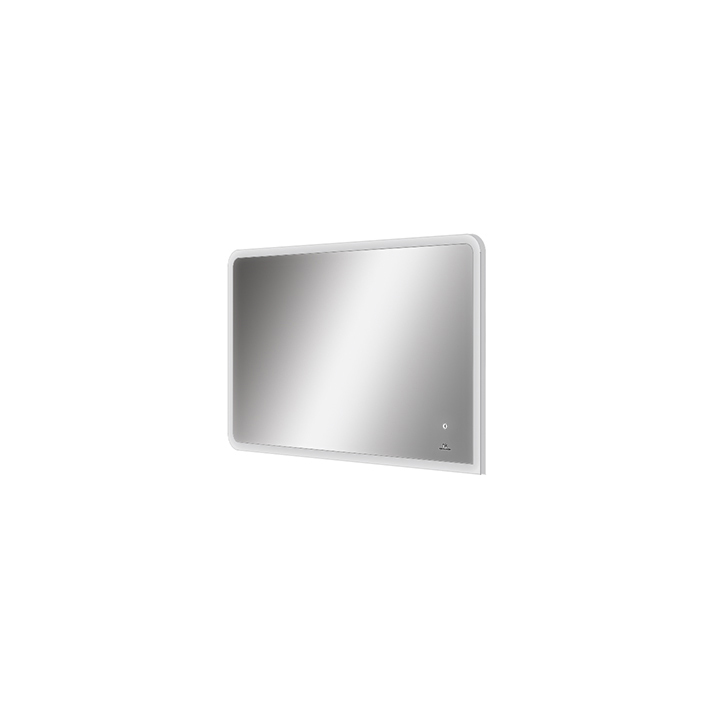 The digital version includes LED lights, allowing the temperature to be controlled at a glance. 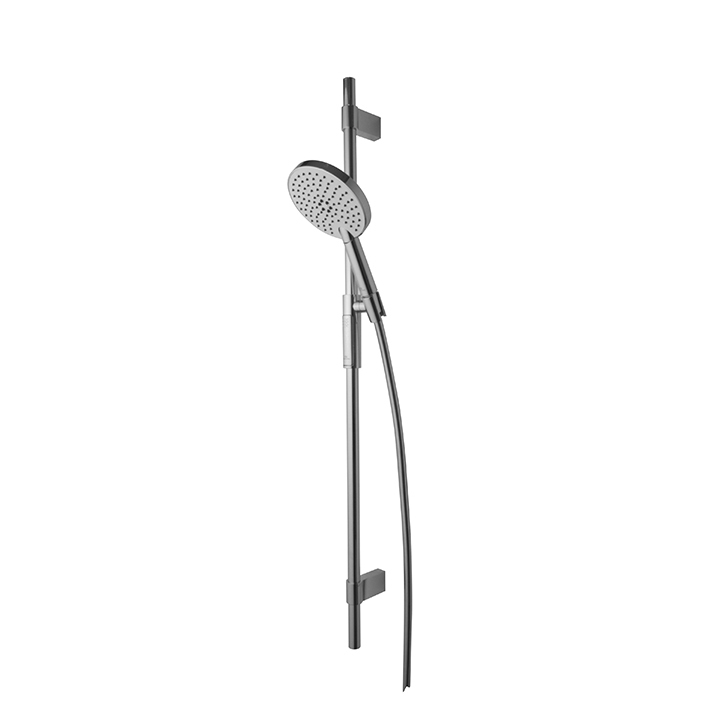 For the shower, external thermostatic shower taps with a shelf are also available. 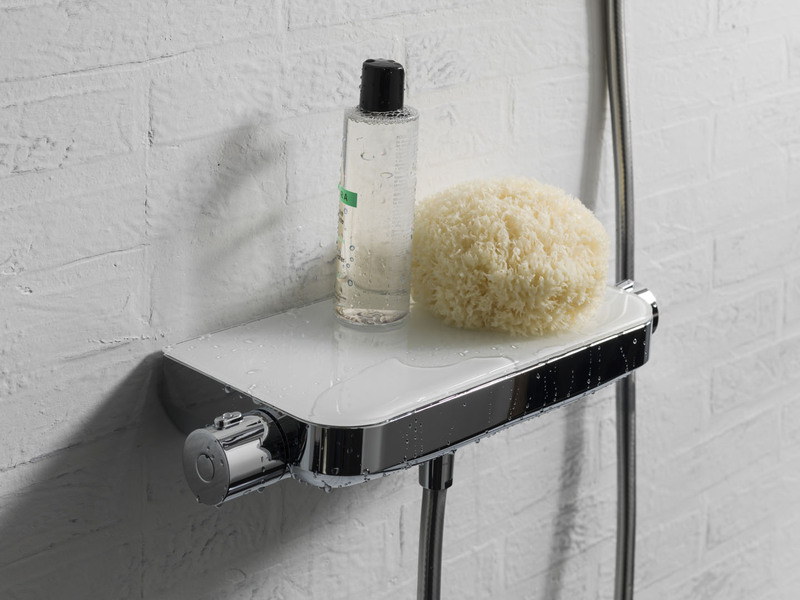 Being able to set the maximum water temperature allows convenience and safety. 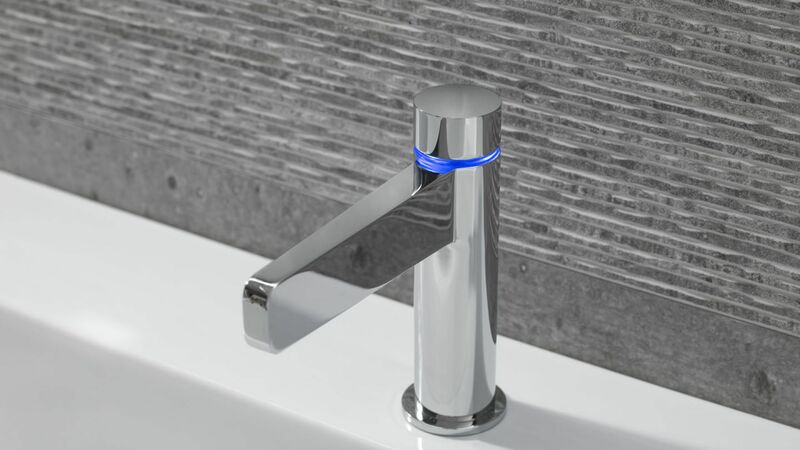 LED technology for a more intuitive use of taps. 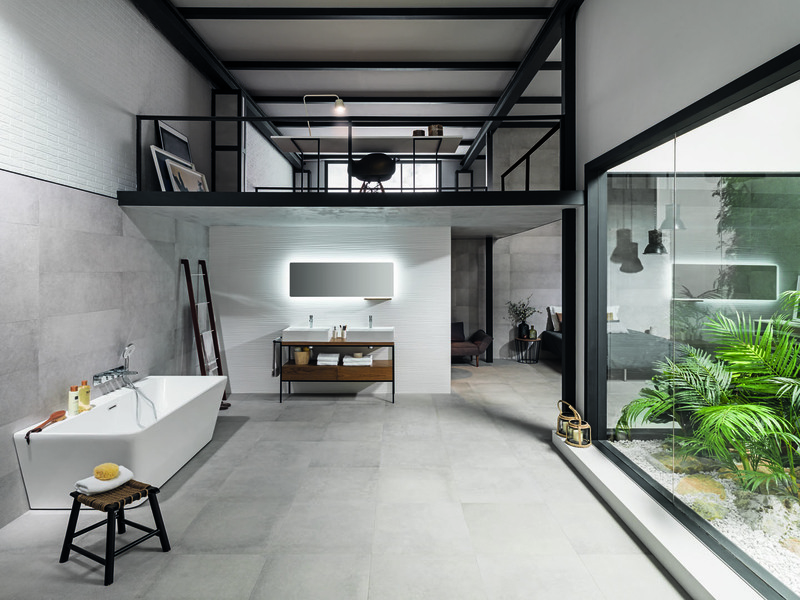 This is Pure Line, an elegant and stylish design for the kitchen which is also simple and minimalist. 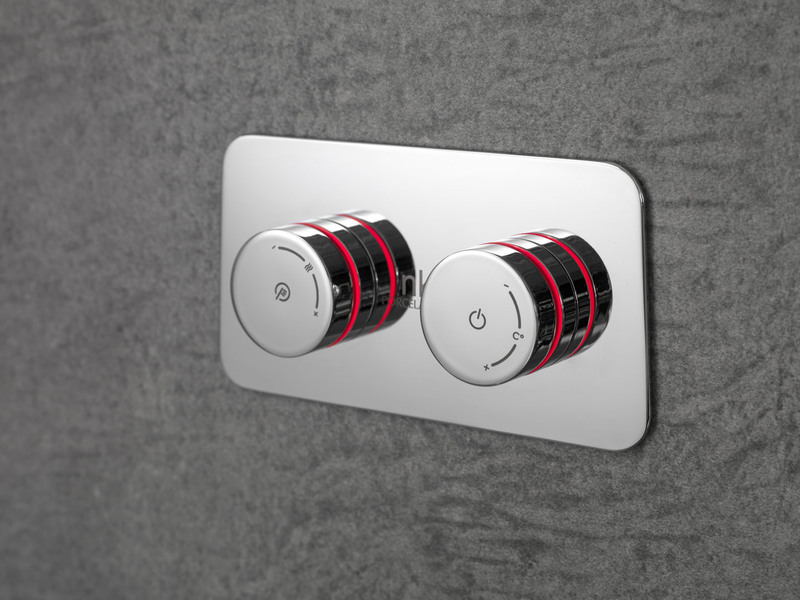 Its separate control is notable, allowing the flow and temperature to be regulated through LED lighting. 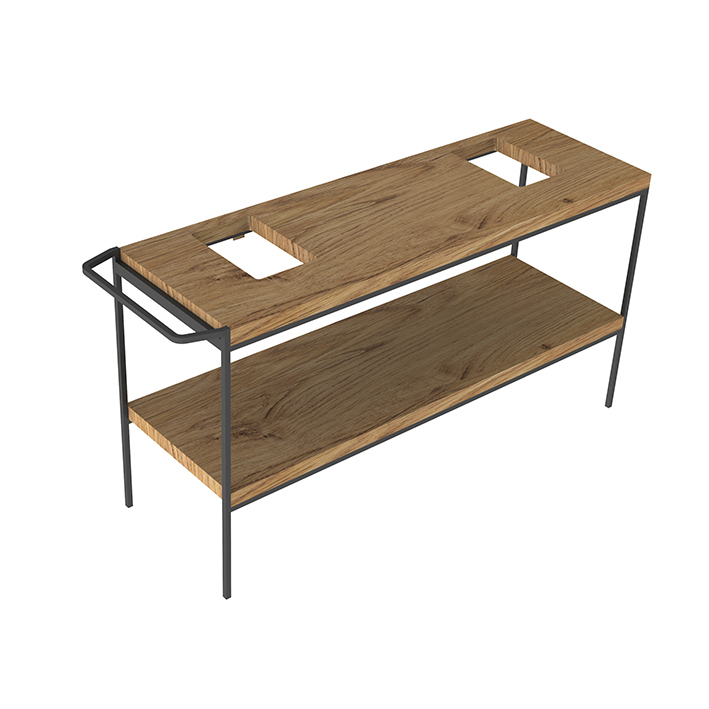 Additionally, being separate from the body, it allows you to place it where you wish, offering a more convenient and ergonomic position for the user. To versions of units, with the same refinement and sensuality. 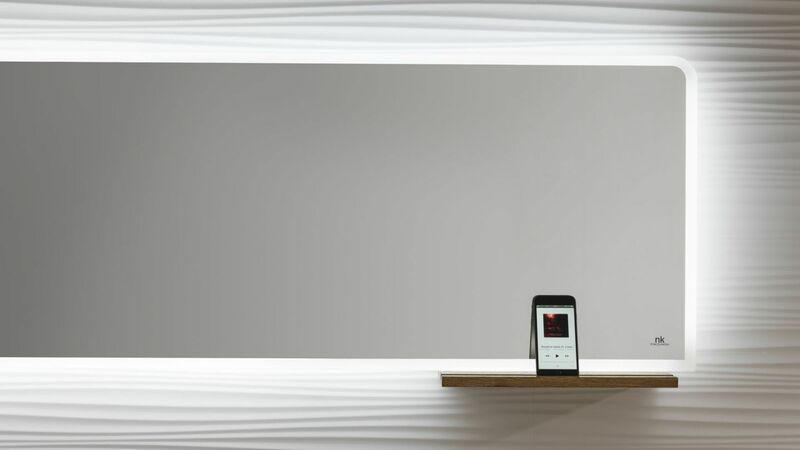 The Pure Line unit is symmetry and asymmetry, a white lacquered version suspended or mounted on metallic feet holding the drawer. 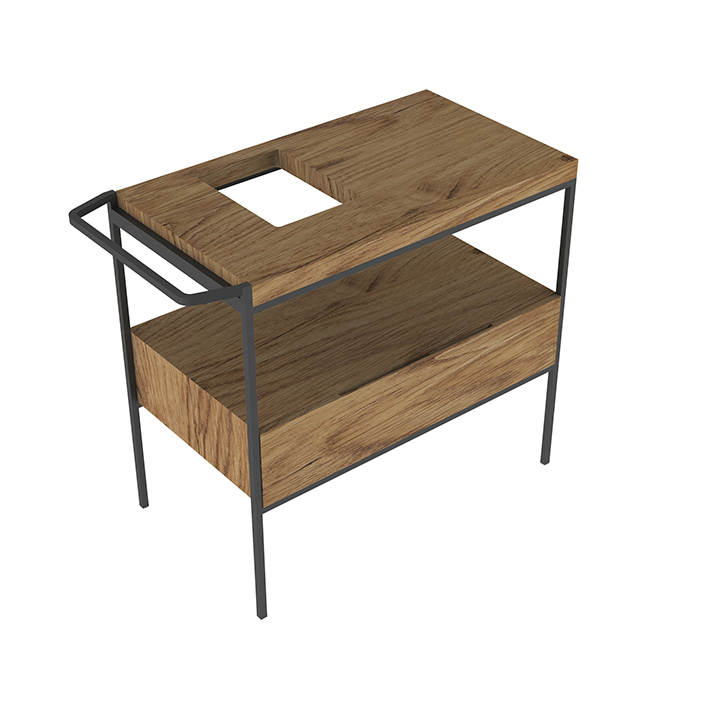 With a matte black handle and structure. 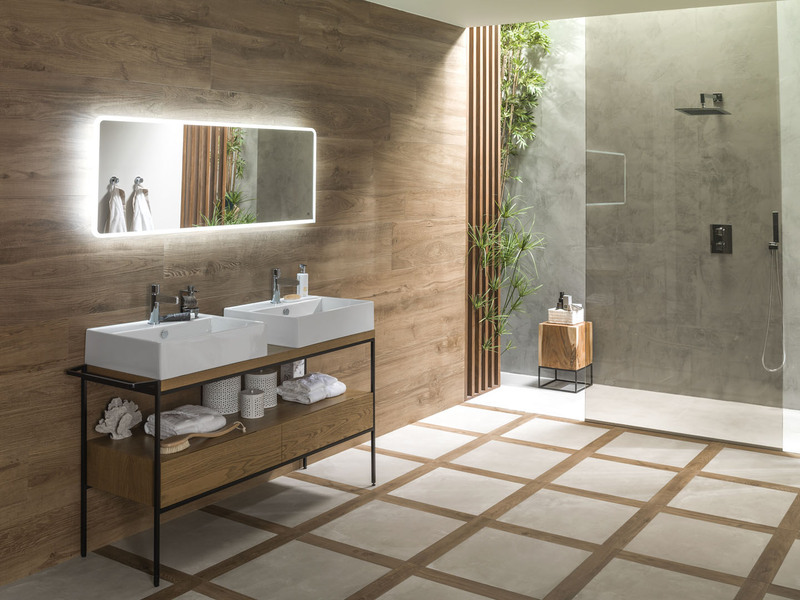 The second version of the unit is Pure Line Wood, a new piece for the bathroom made from aged natural oak and a metallic structure. 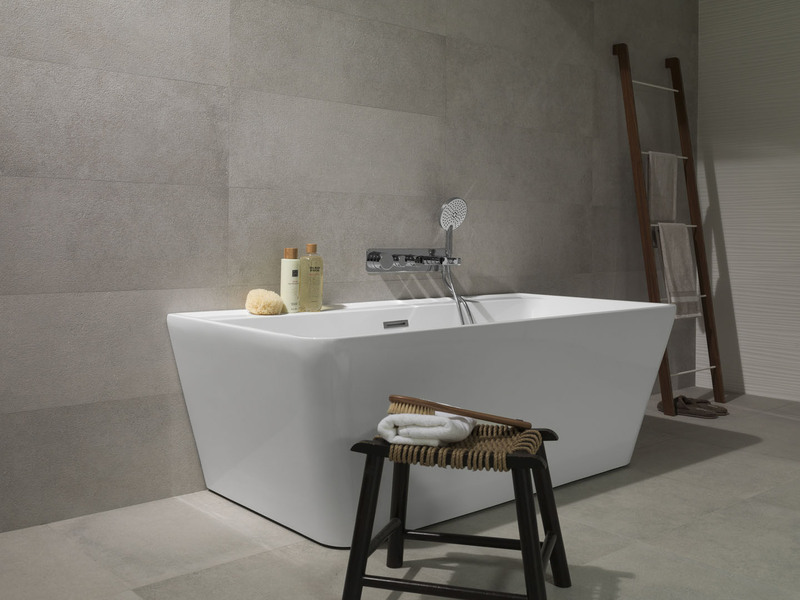 The washbasin which accompanies it is manufactured from high range Noken Ceramic. 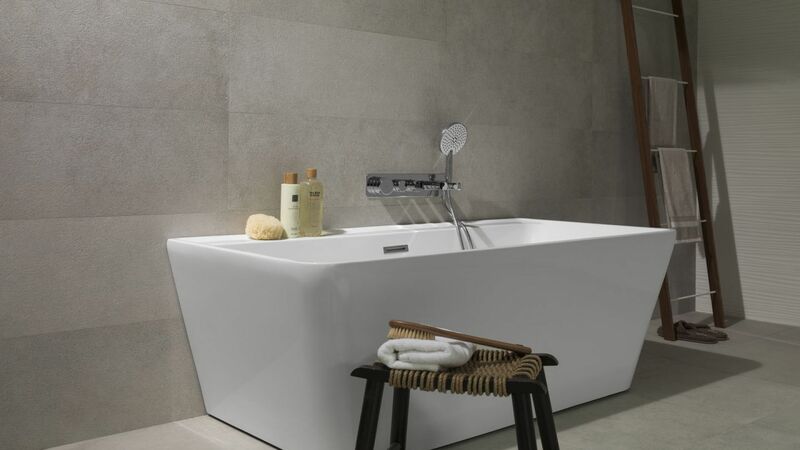 The 168x82cm Pure Line bathtub is still the star of the whole collection: rounded edges, straight lines, clean angles and pure forms which strengthen the overall element. 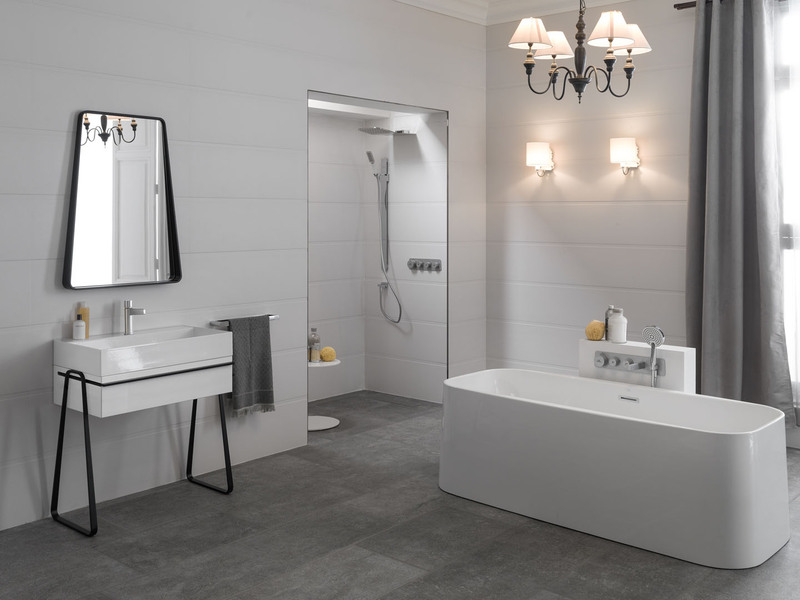 This bathtub may be located either free-standing in the bathroom or against the wall. 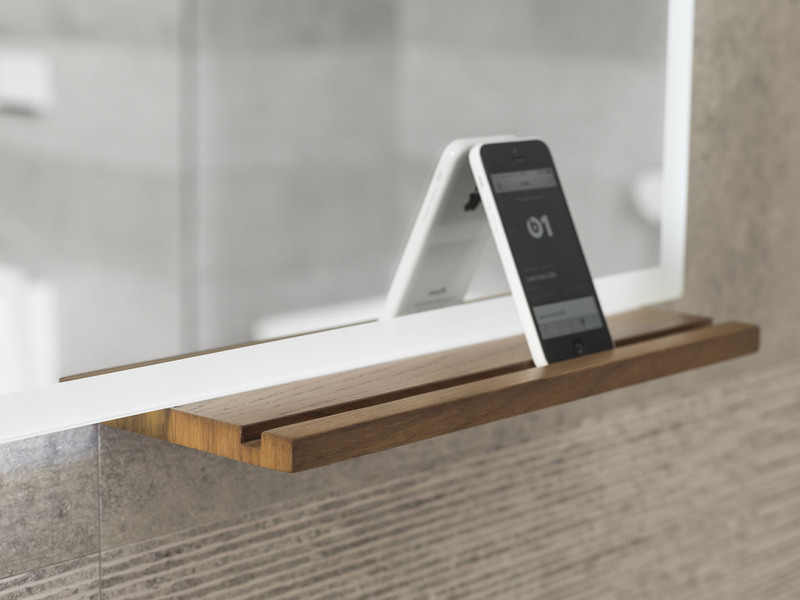 One of the most distinctive aspects is its included shelf. 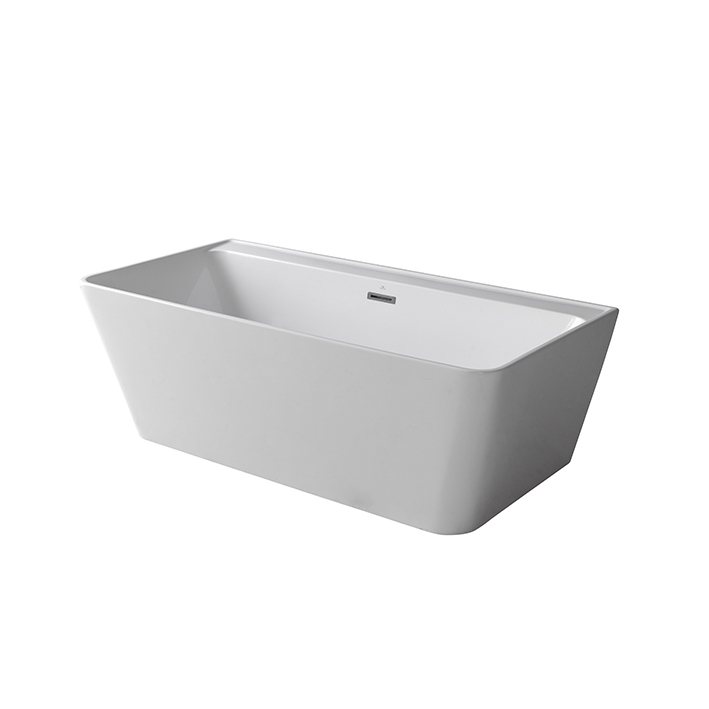 bathtub, freestanding, with self, without brassware, rectangular 168x82, one-piece, center bath waste, sanitary acrylic. Syphon NEXT 100158208 accessory not included. 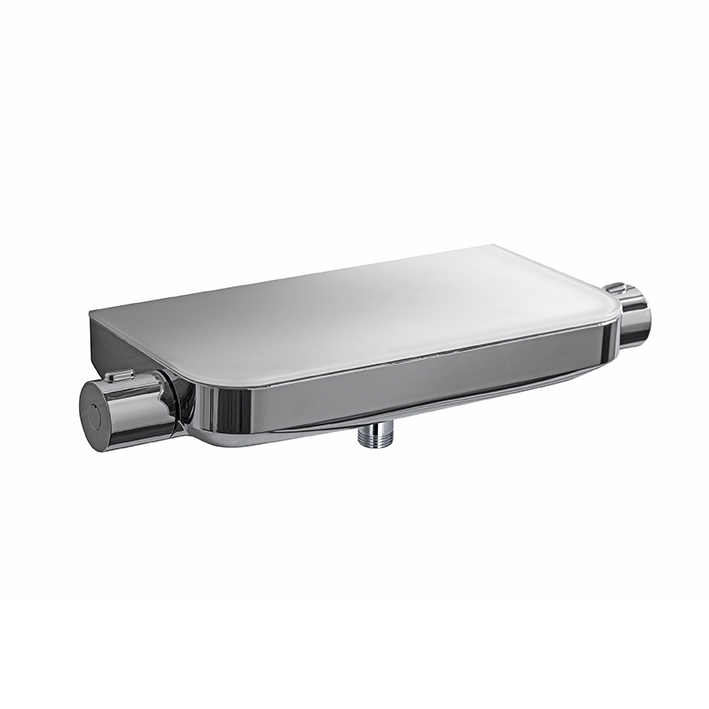 Digital thermostatic 2 ways 1/2". 2 control buttons with LED lighting. Safety stop. Flow rate 27,5 l/min. at 3 bar. 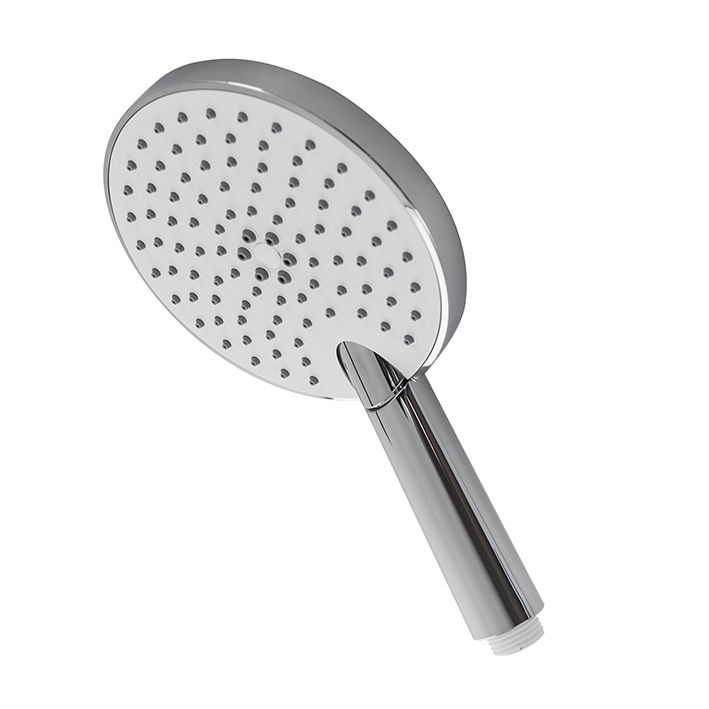 Built in non-return valve. Includes a 100-240V transformer, 50/60Hz exit, 15.0V. External mixer 225x130x55mm. 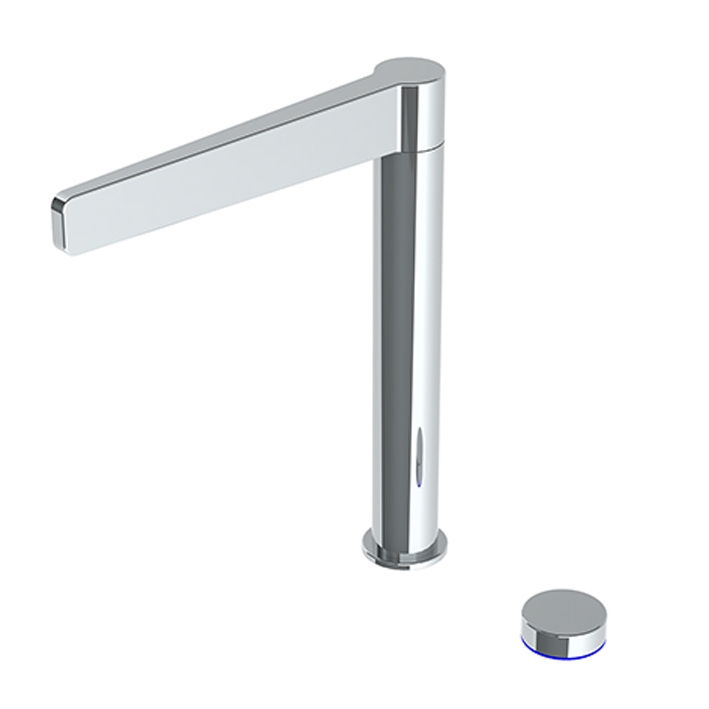 Single lever basin mixer 3/8”. push-button ceramic cartridge. Without pop-up waste set 1 1/4”. Connection 3/8” and length of hoses 400mm. Flat aerator. Flow rate 5 l/min. at 3 bar. 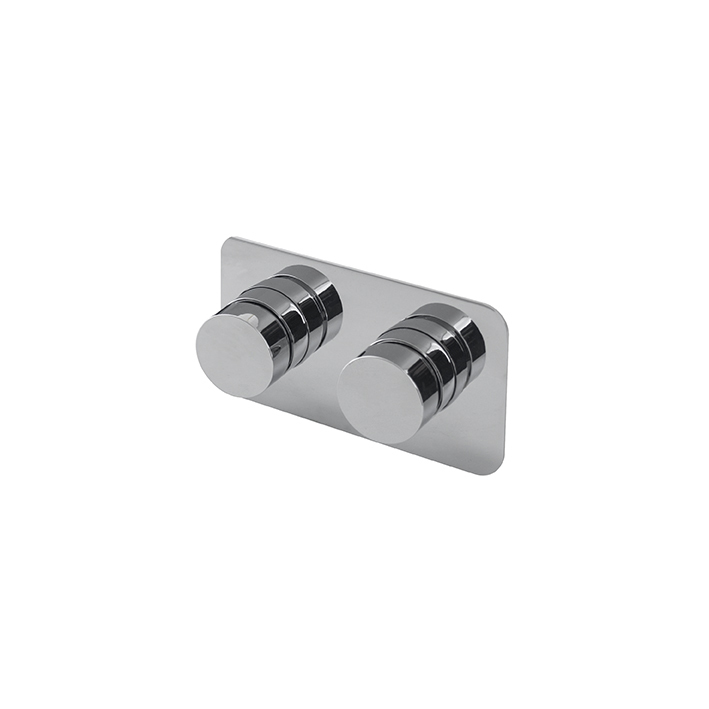 Concealed push-button thermostatic 2 ways 3/4" with wax thermostatic element. Built in non-return valve. Flow rate at 3 bar for one output 20,4 l/min. and for two outputs at the same time 25,9 l/min. PURE LINE LIGHT 100. 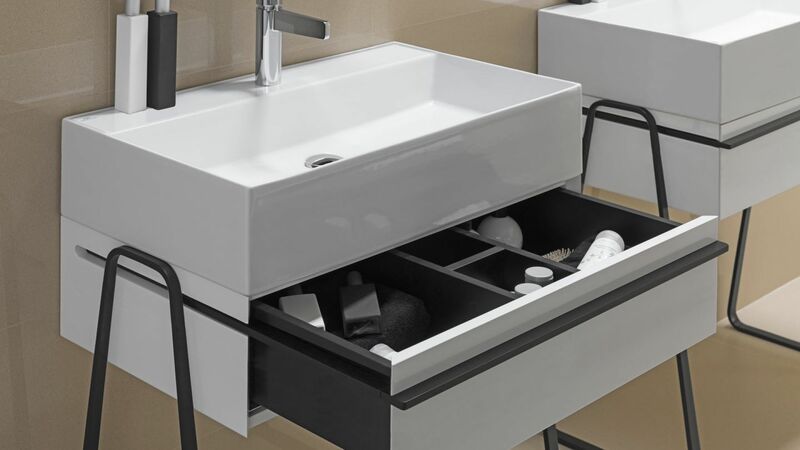 - Wall hung vanity unit 100 cm., with 1 drawer with soft-close system and compartments. With handle. 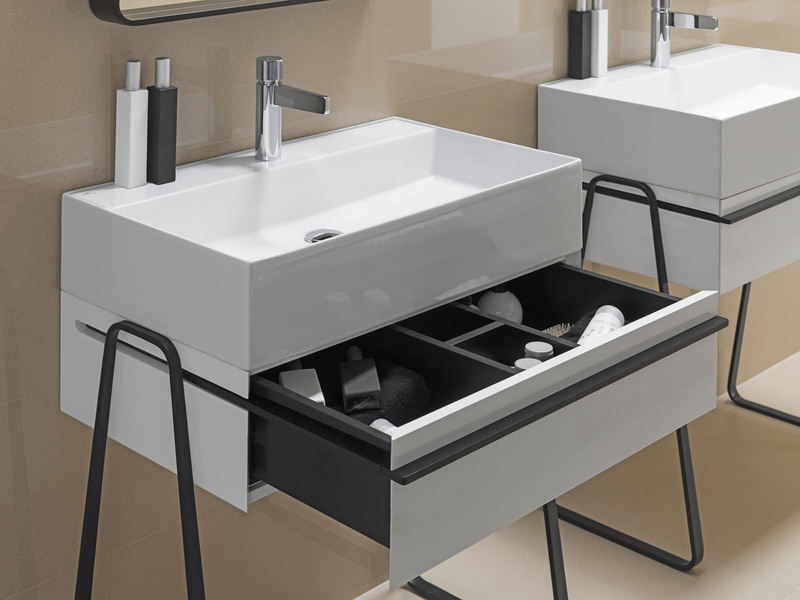 85 cm Floor mounted Vanity for Pure Line sink. White lacquered. Metal feet.